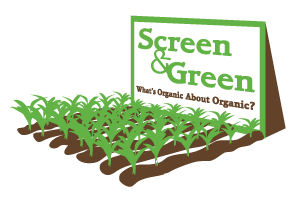 Today, we’re thrilled & proud to bring you the Online Premiere of What’s Organic About Organic? We’re so glad this day has come when folks worldwide will have access to screen the film at a very affordable price and we have the potential to reach our widest audience yet! Be sure to check out our bundle deals with DVDs & T-shirts–they’re super good deals!! We’re a small filmmaking team, so please do what you can to spread the word. Share the link on Facebook. Buy a streaming rental for yourself, a friend or family. Embed it on your blog or website! With our streaming toolset, Distrify’s affiliate program, you could make a little dough with sales percentages of the sale when you share the film! And, don’t forget–we’ve also got our Never Before Released Extras that will be on the Little Bean Productions Vimeo page. We’ve got them packaged on Distrify for $.99, too, if you want to donate a little dough! Listening to folks like Fred Kirschenmann, John Ikerd, Brahm Ahmadi, and Joan Gussow is darn inspiring, so I hope you enjoy them! We’ve also go our special FREE public screening licenses for qualifying non-profits for 3 months offer! Be sure to tell your local outreach director to simply fill out the screening application and take advantage of this unique, limited opportunity! Much gratitude to you for your interest in & support of our work. We’ll be out on the road again soon, heading to farms in Minnesota, Saskatchewan, and California for our “How Fair is your Food?” project. We’re looking forward to bringing more farmer stories to you to continue the conversation about a healthy, just food system for all. Tags: Agriculture, Brahm Ahmadi, documentary film, Fred Kirschenmann, Joan Gussow, John Ikerd, organic, organic agriculture, Organic Farming, organic food, Screen & Green, What's Organic About Organic, WOAO?